It has been requested that this article be rewritten and expanded to include more information (tagged on May 19, 2018). This article is about the common obstacle. For other uses of the word "spike", see Spike (disambiguation). Spike Traps in Corona Mountain in Super Mario Sunshine. Spike Traps (or Spikes, sometimes Spiked Platform or Spiked Floor) are harmful obstacles that appear in nearly all Mario games. Spike Traps can be stationary, retractable, or attached to a moving object. They are first introduced in Super Mario Bros. 2. They function similar to the Icicles from Mario Bros., however, Spike Traps fall differently. Spike Traps are very common obstacles throughout the Super Mario series. When touched, they cause the player to lose their current power-up and if the player is Small Mario, they will lose a life. Players can safely traverse across spikes when invincible without any consequences. In Super Mario Bros. 2, in a few levels, the player has to ride an Autobomb in order to cross some Spike Traps. In Super Mario Bros. 3, if Mario or Luigi wear Goomba's Shoe, they can easily hop across spikes but can still be hurt from touching them with their sides or head. In Super Mario World, Yoshi can safely walk on Spike Traps due to the boots he wears. This game also introduces the Falling Spike. In Super Mario Sunshine, only appearing in Corona Mountain, coming into contact with it will usually cause Mario to lose a life. Spikes in Flip-Out Galaxy in Super Mario Galaxy 2. In Super Mario Galaxy and Super Mario Galaxy 2, Mario or Luigi bounce into the air, lose health, and run uncontrollably after coming into contact with a spike trap, similarly to lava. In Super Mario 3D Land, Spike Bars make their first appearance. They operate similarly to Fire Bars. Retractable spikes on the floor make their appearance as well. In Super Mario 3D World, the ground spike traps appear again in levels such as Hands-On Hall and Spiky Spike Bridge. In Super Mario Maker and its 3DS port, Spike Traps are classified as block objects. Depending on the game style and theme, Spike Traps can change appearance, most notably in the Super Mario Bros. 3 and Super Mario World game styles, where in the underwater themes of both, the Spike Trap can change into a Jelectro and a Sea Urchin from The Legend of Zelda: Link's Awakening (which in turn is based on the Gordo from the Kirby series, and in this appearance acts more like one due to being invincible), respectively. Additionally, shaking a Spike Trap in the New Super Mario Bros. U ground theme makes a train sound. Spike Traps reappear in Super Mario Run, making their first appearance in the level Shell Me the Way! when collecting the Black Coins. They have the same appearance as the Spike Traps in the New Super Mario Bros. U style of Super Mario Maker. In Super Mario Odyssey, the Spike Traps appear once again in their Super Mario 3D World design, where they can be found in Bowser's Kingdom. Yoshi's Story features living, jumping Spikes in Bone Dragon Pit and Magma Castle. In other games, spikes are fatal, as simply touching them causes a Yoshi to lose a life. A more common sharp object, a thorn, also appears in the Yoshi's Island series. Spike Traps appear in Paper Mario: Color Splash. Spike pits appear in levels such as Mustard Café, The Golden Coliseum, and Fortune Island. 8-bit spikes appear in Green Energy Plant. In Kiwano Temple, there are many spikes that resemble Spiny Shells. Some must be crossed by rolling platforms, and others must be flipped over with a POW Block. Multi-surface spikes that appear only in the Flipsville Galaxy. The spikes' appearance in the Super Mario Bros. style in Super Mario Maker. The spikes' appearance in the Super Mario Bros. 3 style in Super Mario Maker. The spikes' appearance in the Super Mario World style in Super Mario Maker. Some spike traps in Bowser's Kingdom in Super Mario Odyssey. ↑ GameXplain. April 4, 2016. Train Whistle SECRET in Super Mario Maker. YouTube. Retrieved May 18, 2016. ↑ Shogakukan. 2015. 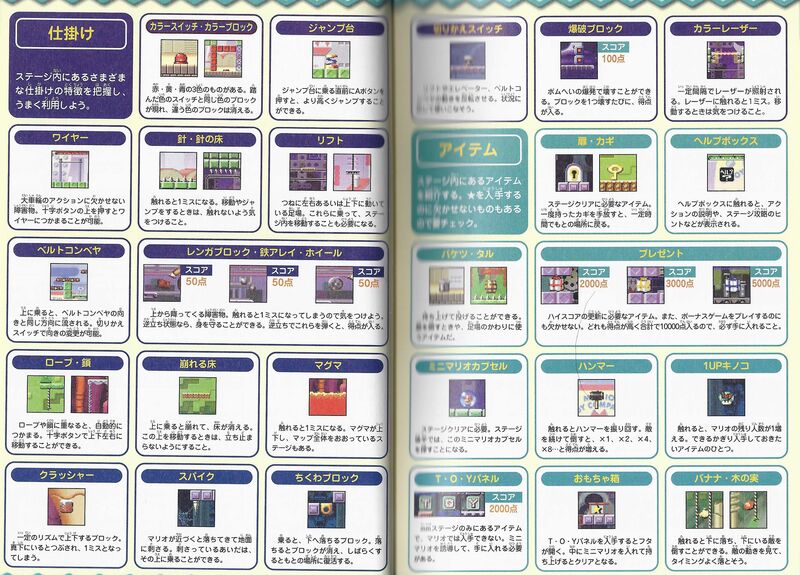 Super Mario Bros. Hyakka: Nintendo Kōshiki Guidebook, pages 41, 61, 78, 105, 119, 150, 200. ↑ Mario & Wario instruction booklet, page 9. ↑ Shogakukan. 2015. Super Mario Bros. Hyakka: Nintendo Kōshiki Guidebook, pages 170, 186, 233. This page was last edited on April 23, 2019, at 00:37.